Products worth stealing from the family from Jack Black, Live Clean and Aveeno! Jack Black Protein Booster Skin Serum - 60ml - $69 - an advanced anti-aging serum with a silky texture that offers a daily-dose of anti-aging defense with a formula containing organic omega-3 fatty acids to help brighten dull looking skin and give it the hydration boost it needs. Use it under your usual moisturizer or if you have oily skin you might even find it to be enough on it's own! What you really have to love about men's products is they are a much better value - women's serums come in a bottle half the size of this one for the same price - a great product at a great price, yes please! Available at Sephora and Hudson's Bay stores across Canada and online at getblackjack.ca. 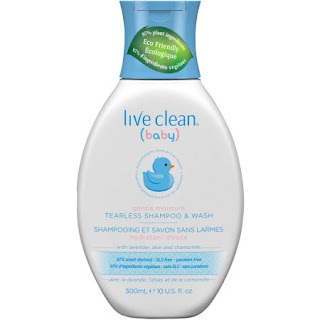 Live Clean Baby Gentle Moisture Tearless Shampoo & Wash - 300ml - $7.99 - with a clinically tested, tearless formula that gently cleanses without drying to leave skin and hair feeling soft and nourished. Featuring a coconut based surfactant, purified water and enriched with certified organic botanicals of chamomile, lavender and aloe, it's free of harsh chemicals and preservatives, it has a unique formula that rinses clean with a gentle, soothing scent. This is a great space saver for travel or the gym but what I love the most is the scent, it's so relaxing you'll want to curl up in your crib and take a nap! Available now at Shoppers Drug Mart, Loblaws and other drug, grocery and mass retailers across Canada. 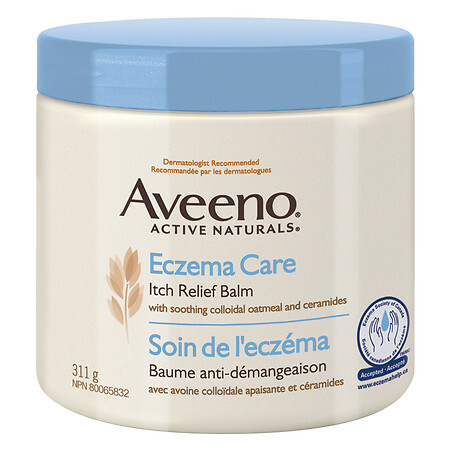 Aveeno Active Naturals Eczema Care Itch Relief Balm - 311g - $14.99 - harnesses the soothing power of Active Naturals colloidal oatmeal to create a protective balm that intensely moisturizes and helps relieve dry, itchy, irritated skin due to eczema without leaving a greasy feeling behind - while also helping strengthen the skin’s natural moisture barrier to help prevent the dry, itchy skin from coming back and is gentle enough for everyday use even on sensitive skin. As soon as the weather starts to get cold there are certain body parts (shins especially!) 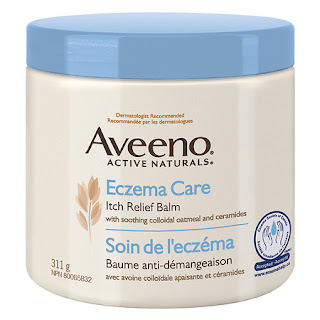 that body lotion isn't enough to cut it anymore but many body balms are too heavy feeling and never feel like they soak in - not so with this Aveeno one though and because it's meant for eczema prone skin, it is just what my dry and sensitive skin needs! I really do love Aveeno products. 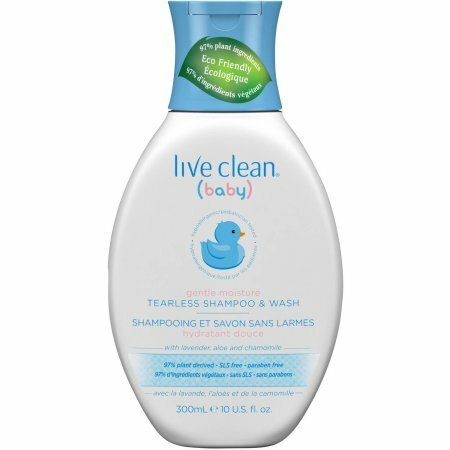 I think I've tried some Live Clean products as well.